Top quality Aniline cowhide leather. Two palm sliders. Carbon fiber knuckle protection. Wrist protection. Pre-curved palm and fingers. Silicone printed grip. Secure hook and loop wrist closure. Conductive material at the index fingers for instant touchscreen access. - Utility grade span/poly chassis. - TPR reinforced knuckle. - Pre curved ride friendly design. 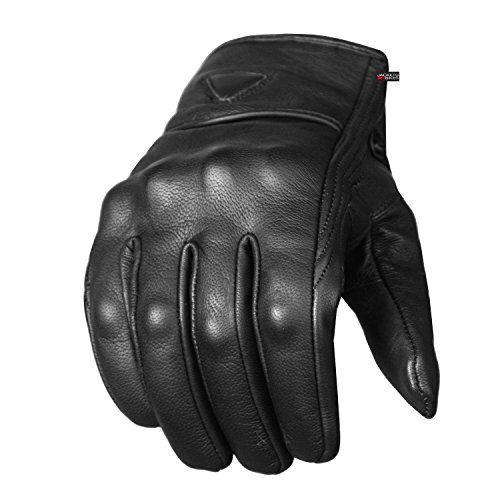 - Padded leather palm. - Reinforced finger tips. - Hook and loop closure with TPR pull tabs. Glove Measurement Instructions:Measuring the width of your palm at it's widest point - little below the knuckles.Glove Sizing ChartM fits for 3.1 - 3.3 inchesL fits for 3.3 - 3.5 inchesXL fits for 3.5 - 3.7 inchesXXL fits for 3.7 - 3.9 inchesXL size may be a little small. 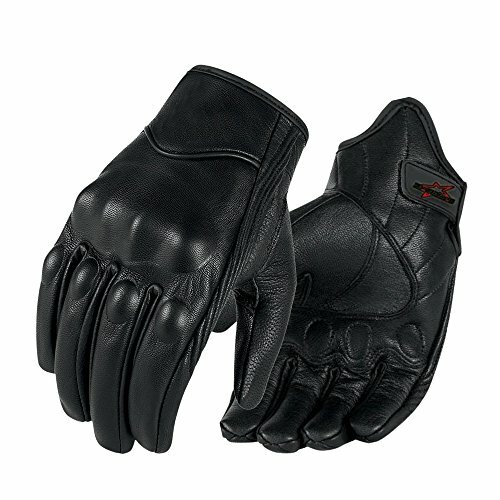 Model:G01 Style:Non-perforated Season:Spring,Summer,Autumn and Early Winter Package:One pair of Gloves,left and right. Kindly measure your hand and choose the correct size as per chart. ************************************************************ Dear knight, Thanks for visiting Superbike and ride among us. Our core mission is protecting your riding at anytime everywhere. We will be glad to serve you quality product,fast delivery and satisfy service.Please contact us freely if you have any questions or ideas. Scoyco New Touch Screen Full Finger Motorcycle racing gloves for Men, Hard Knuckle Ventilate Glove.Features:★Carbon fiber protection★Silicon printing on palm for anti-slip★Pinky with reflective fabric,increasing the riding safty during night★Touch screen material on fingers tips for touch screen device★Punching design on palm for ventilation★Adjustable velcro on wristSpecification:Size:M--PALM CIRCUMFERENCE:20cm(7.87 inch)Size: L--PALM CIRCUMFERENCE:22cm(8.66 inch)Size:XL--PALM CIRCUMFERENCE:24cm(9.45 inch)Size:XXL--PALM CIRCUMFERENCE:26cm(10.24 inch)Gloves size is manually measured, and there may be 1-2cm error.Material:Carbon fiber,Microfiber，Anti-slip leatherMaintenance:Hand Wash;Use Mild liquid detergent and gently wash;Do not bleach;Do not store damp;Do not iron;Finger pointing up when hanging.Package includes:- One pair of motorcycles gloves. 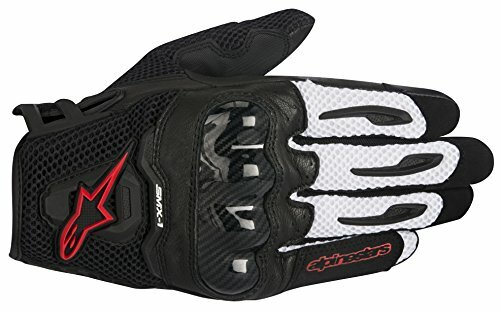 A stylish short-cuff street riding glove with an extremely lightweight leather and 3D mesh chassis, the SMX-1 Air is fully optimized for warm weather. 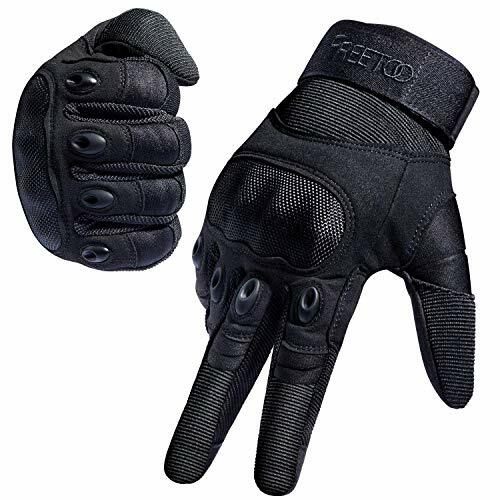 SCOYCO Motorcycle Riding Gloves Men,Knight Anti-collision Racing Locomotive Racing Wear-resistant Joint protection GlovesFeatures:►Rubber protection on finger and back of hand. 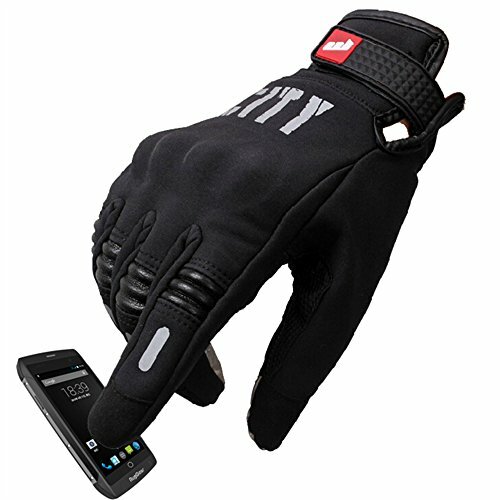 ►Durable microfiber on palms and thumbs for shock resistant.►Adjustable Velcro on wrist.►Reflective strip on back of hand.Specification:Size:M--PALM CIRCUMFERENCE:20cm(7.87 inch)Size: L--PALM CIRCUMFERENCE:22cm(8.66 inch)Size:XL--PALM CIRCUMFERENCE:24cm(9.45 inch)Size:XXL--PALM CIRCUMFERENCE:26cm(10.24 inch)Gloves size is manually measured, and there may be 1-2cm error.Material:70%NYLON+10%PVC+10%RUBBER+5%TERYLENE+6%PUMaintenance:Hand Wash;Use Mild liquid detergent and gently wash;Do not bleach;Do not store damp;Do not iron;Finger pointing up when hanging.Package includes:- One pair of motorcycles gloves. 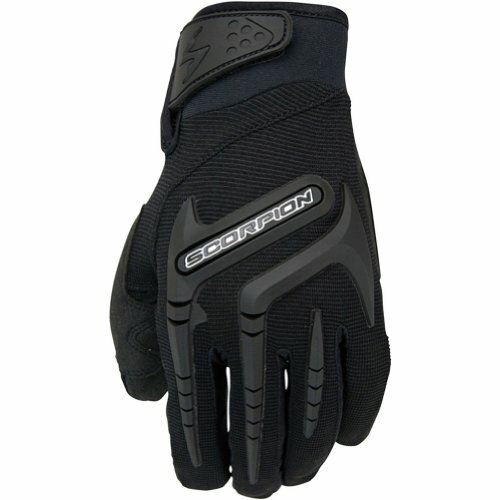 Comfort meets durability with these Lumintrail GL22 Half Finger Bike Gloves. 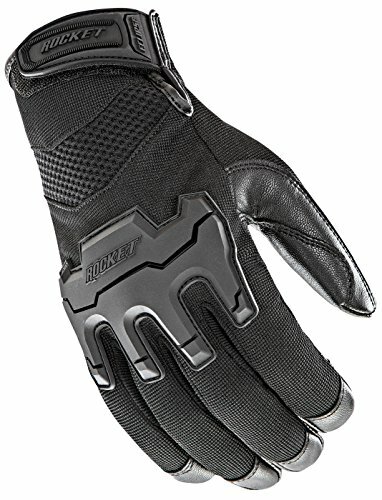 Constructed with an ultra padded palm, the GL22 series provide serious relief against the bumps and impacts of whatever trail or road you ride on. The upper side is lightweight and breathable to wick away sweat and keep you cool. An easy hook-and-loop closure and two finger pull tabs make putting these gloves on and taking them off (not that you'll want to) a breeze! Features: Machine washable Two double stitched finger tabs for easy removal Sturdy hook-and-loop wrist closure Plush padded palm with three extra reinforced padded areas Breathable 4 way stretch material Reinforced area between thumb and index finger Soft, low-profile thumb wiping surface Material: 55% Nylon 25% Polyester 10% PU 10% Elastane Sizing: Small: 7.0 - 7.5" Medium: 7.5 - 8.0" Large: 8.0 - 8.5" X-Large: 8.5 - 9.0+"
Full leather construction with elasticized wrist. 200 gram Thermolite insulation for superior warmth. Hipora waterproof-breathable lining. 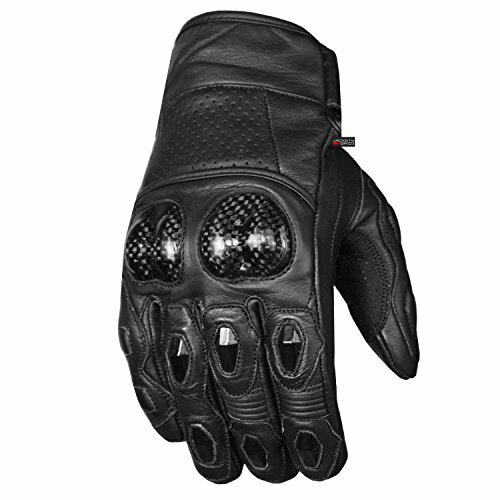 Aramid covered, D3O padding on knuckles and palm heal. Articulated finger hinges for increased dexterity. Zipper-closure gauntlet. Left thumb visor squeegee. For COLD riding. 2-year limited warranty. 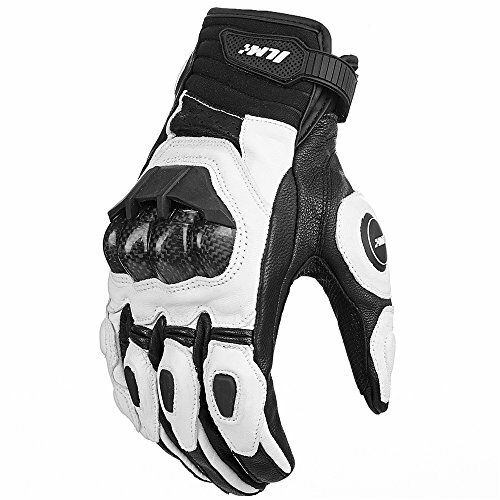 Comfort meets durability with these Lumintrail GL10 Bike Gloves. 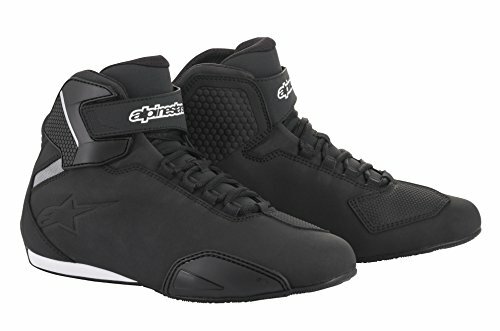 Constructed with a synthetic suede palm with strategically placed padded protection, the GL10 series provide serious comfort against the bumps and impacts of whatever trail or road you ride on. The upper side is a lightweight and breathable mesh to wick away sweat and keep you cool. An easy hook-and-loop closure ensures a secure fit. 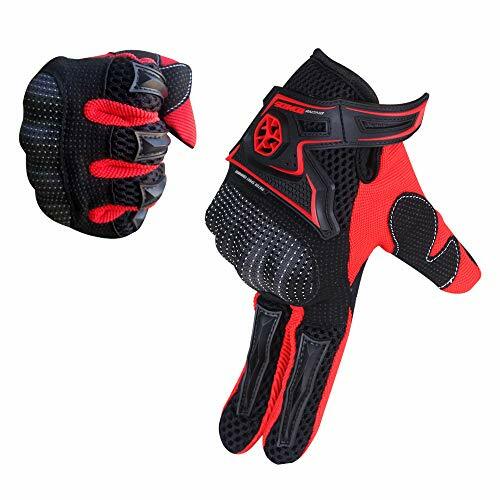 Features Synthetic suede material provides secure and comfortable grip Breathable mesh fabric promotes airflow Hook-and-loop closure Soft cloth on thumbs for wiping away sweat Reinforced thumb grip area for durability and strength Material: 55% Nylon 25% Polyester 10% PU 10% Elastane Sizing: Small: 7.0 - 7.5" Medium: 7.5 - 8.0" Large: 8.0 - 8.5" X-Large: 8.5 - 9.0+"
Women Men Ski Gloves Snowboard Gloves Motorcycle Riding Winter Touch Screen Snow Windstopper Glove Size S-XLNotice:Gloves are not all waterproof Only hand back waterproofType: Ski GloveProduct Size: S/M/L/XL Material: WINDSTOPPERColors: Black Function: Windproof,Waterproof,Thermal,Touch ScreenSize Chart:S:Palm Width8.0cmM:Palm Width 8.5cmL:Palm Width 9cmXL:Palm Width 9.5cmthe update version:the new touch screen functionNotes: 1. Please allow 1-2CM difference due to manual measurement.2. Real color may slightly different from pictures due to computer screen\'s resolution, brightness, contrast etc. Hope understanding. Have a nice shopping day! FREE SHIPPINGFingerless Gloves By Alpine SwissProduct Features:Fingerless gloves great for driving, work outs, riding and moreMade of soft and durable genuine leatherElastic wrist and velcro strap for secure fitSizes: S, M, LSizeHand LengthPalm LengthSmall 6" 4"Medium 6" 4 1/4"Large 6" 4 3/8" You can get help on how to measure within our product images. Note because these are fingerless the measurement is until the end of the material from palm to finger.Alpine Swiss donates 2500 meals every day to hungry children in the U.S. and around the world through our partnership with Children’s Hunger Fund. These meals are hand delivered in a Food Pack, which will contain enough food to feed a family of 4-5 for a week to the homes of the needy by trained volunteers in their community, establishing relationships that foster genuine care. Your purchase fuels this effort! Thank you! 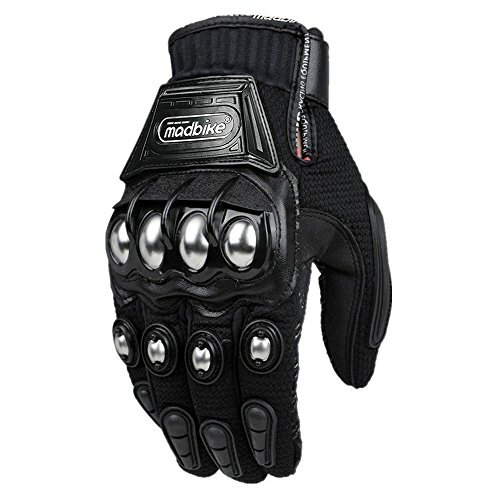 Motorbike Motorcycle Gloves. 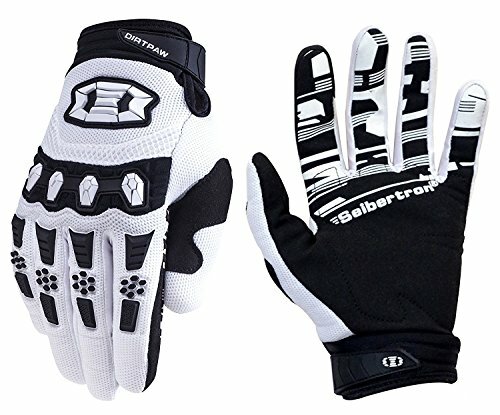 Finger Protection with Flexible Fit. Comfort Fit and Maximum Grip. Made of Genuine Leather. Extra Comfort and Chill Wind. Partially Waterproof. Zipper Closer. Comes as pair. Comes in Black all Sizes. "Full Fingers". Fast Delivery. Money Back Guarantee. 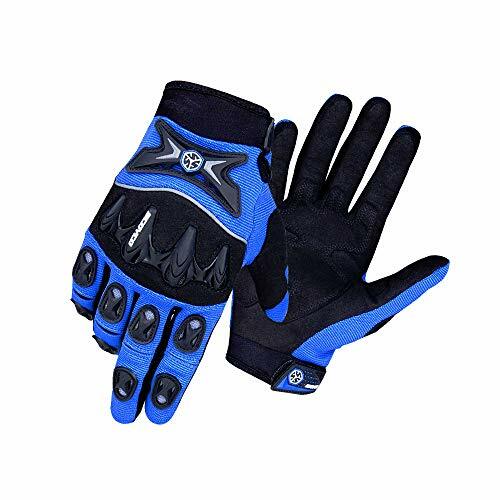 TMS Youth Bike Gloves ATB Motocross Mx Dirt Street Bike Gloves Blue. 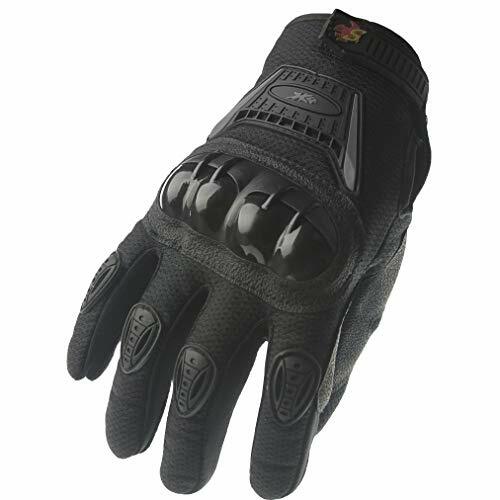 These TMS off-road gloves are specially designed for protection and comfort.